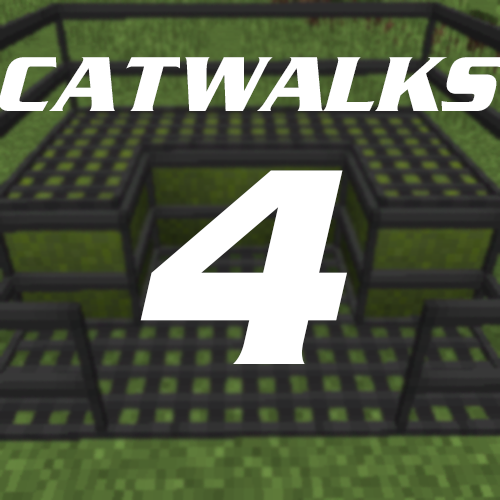 Catwalks 4 is the fourth iteration of the original Catwalks mod / Catwalks Mod and it features full 3d models! We're still working on porting over different blocks and models. Stairs, will be coming, and eventually all the different block models that we can find on the Catwalks Github. Modpack policy: Go ahead! I'd prefer if it was all done through curseforge, but what can I really do, sue you? Also if you're a big-ish modpack, ping me (optional). There seems to be a visual bug. Placed 3x2 classic catwalks. After the second row, each catwalk appears closed off by itself. I can pass through them as if the dividers are not there but it's a pretty bad visual bug. I'm using optifine, with optifine support enabled in the config. Tried using the blowtorch and that does not fix things. How do you set config to supportOptifine? I don't know why but I can only see the catwalks when optifine is installed and the config is "supportOptifine=true"
the reason that config exists, is so that it works with optifine. Thank you! Might wanna put that in the description. Why is it off by default? What does it do? by default, I store different models so it's quicker for non-optifine users to load/view the models. I have no idea what optifine does to the models, but it breaks that storage system. are you using VanillaFix or any other FPS boosting mods? Do those also break the mod? I was planning on making a pack with them. have you tried flipping that config line anyways? I'm not sure what BFPS and VF do, but I bet that it's one of them causing the disappearing error. The classic, glass, and steel catwalks are invisible for me.